At Castle Buick GMC, we take pride in being a locally-owned, trusted member of the North Riverside community. For many years, North Riverside, Cicero, and Chicago neighbors have come to us for a trustworthy and attentive car buying event. To see why hundreds buy their Buick GMC from us every year, stop by our Castle Buick GMC or experience our Buick GMC car inventory digitally. 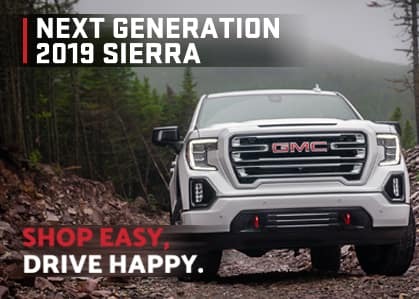 Find an excellent selection of new Buick GMC cars for sale, including the sophisticated new Buick LaCrosse, GMC Yukon, GMC Terrain, GMC Acadia SUV, and the powerful GMC Sierra 1500. Castle Buick GMC is a quality used dealership that’s proud to have a huge selection of used and pre-owned vehicles for North Riverside customers to test drive. Whether you are looking for a used car under $10,000 or a certified pre-owned vehicle that looks and feels like new, Castle Buick GMC is the place to find it. In addition to our extensive inventory, our customers will also have the benefit of our on-site auto financing. That means you’ll be able to own the vehicle you want stress-free and for a price that’s right for you! We are a one-stop shop for your automotive needs! Beyond a great selection of new Buick GMC and used cars, Castle Buick GMC also offers on-site financing and maintenance for your new vehicle. People from all over North Riverside, Cicero, and Chicago come to Castle Buick GMC for the best deals on new Buick GMC, used cars, and more. Come in today and see why!